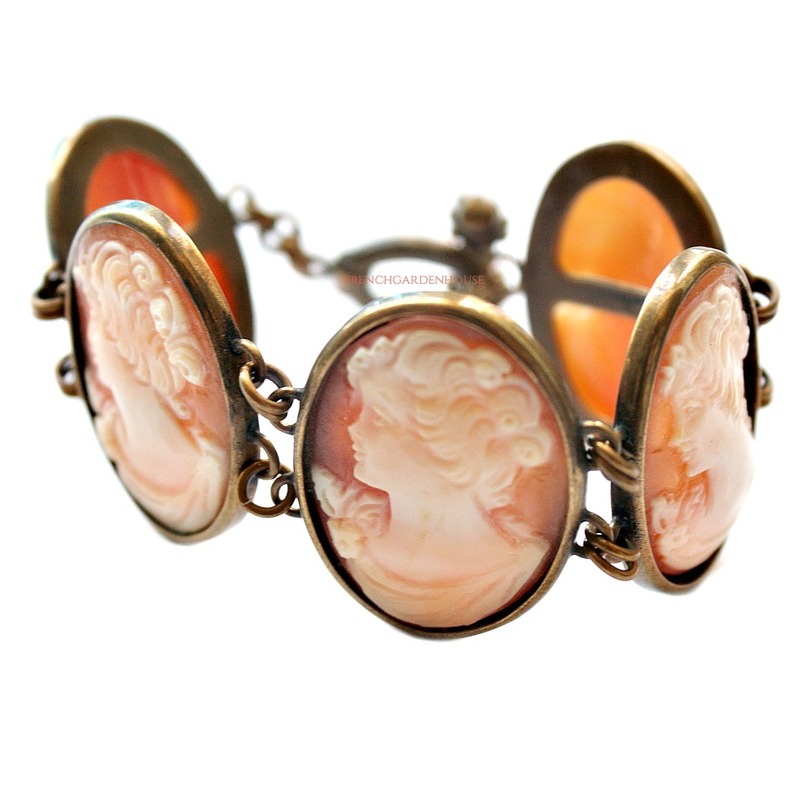 This heirloom quality hand-carved Italian Shell Cameo Bracelet will cast its spell over you and garner attention everywhere you go. This is just gorgeous, a luxury statement addition to your jewelry collection. Made of authentic hand carved cameos by artisans in the tiny Italian seaside village, Torre Del Grecco, where the art of cameo carving is said to have first developed. 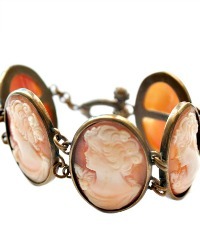 Each cameo is an original, and one of a kind miniature work of art, featuring a beautiful young woman with upswept hair, a flower on her elegant gown. 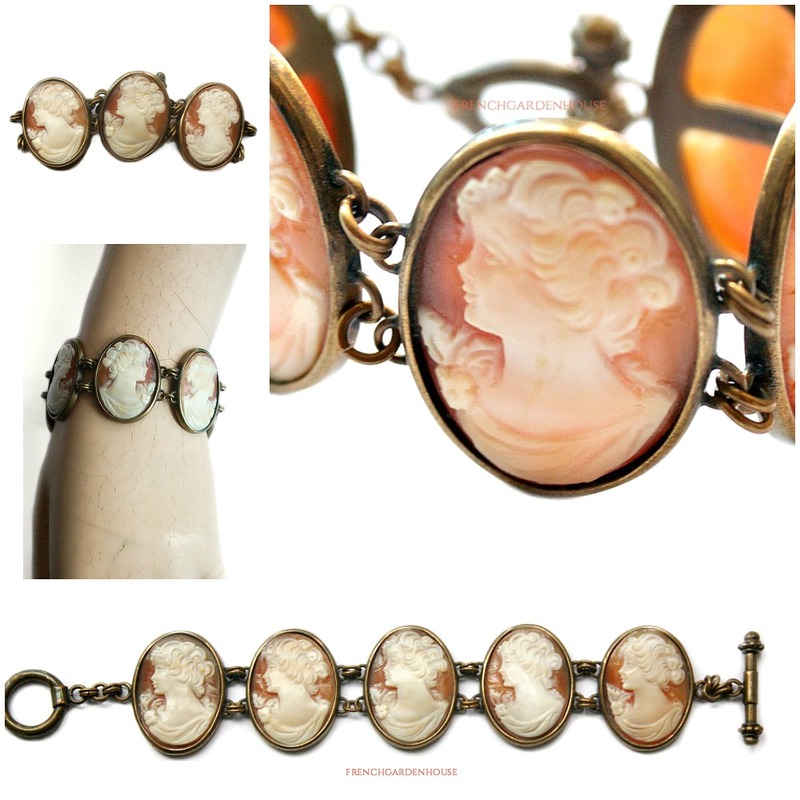 Measures: cameo portraits:1-1/4" x 7/8"; bracelet 7-3/4".